The Tira Food Pantry has received several donations lately. The council members want to express appreciation to everyone who has helped make food available to those in need. 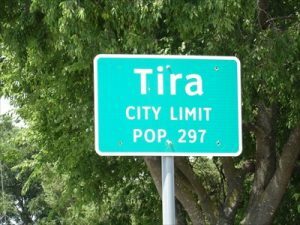 The deadline to file as a write-in candidate for the Tira City Council is August 20th. Tira residents who have an interest in serving in this capacity, should contact me, Jan Vaughn, Tira City Secretary. My contact information is at the end of the column and my mailing address is 776 FM 1536, Sulphur Springs, TX 75482. Our nephew and niece, Michael Horn, of Schertz, Texas, and Tonja Horn, of Chicago, Illinois, and their families spent a few days with Liz Steinsiek (Michael & Tonja’s mother) at her Tira cabin. Chip, Tiffany, Jaidyn, Kenden and I enjoyed getting to visit with them while they were here.